Cough is a defence mechanism of the organism which defends itself from microorganisms and aims to eliminate them from the body. Viral respiratory tract infections, in which in a later stage attach bacterial infections, are followed with the frequent occurrence of cough, which is initially dry and irritating, accompanied by chest pain, and later as the process matures and cough becomes productive and moist. 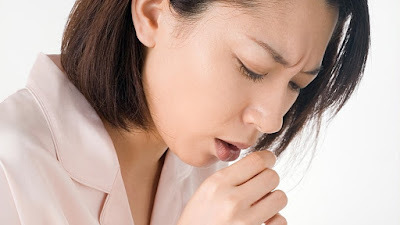 Irritation of the throat is one of the founders of dry cough, although the presence of a viral infection of the respiratory tract does not exist. Here is mainly about the local inflammatory reaction in throat and lymph nodes. In any case, the cough is even desirable as a defence act of the body. But, in chronic stage, cough could leads to fatigue, exhaustion, loss of appetite and lethargy. Coughing fits are often possible during sleep, which reflect negatively on the dream and on the physical and mental condition of the person. Do natural products based on plants may find application in the treatment of cough? Of course! Herbal preparations are highly effective in the treatment of cough, and even the many of them, such as marshmallow and mullein are added to cough syrups. The most commonly remedies are administered in the form of teas, natural syrups and often in combination with honey. Thyme is the right herbal choice for the treatment of respiratory tract infections and treatment of cough. Thyme is an antiseptic, it coats the mucous membranes of the respiratory tract; it prevents colonization of viruses and bacteria, and also alleviates dry and irritating cough. Pour thyme with hot water and let it sit covered for about 10 minutes (mandatory cover as thyme contains aromatic substances that evaporate quickly). After that, strain it and drink tea with the addition of honey and lemon. It is very pleasant and aromatic tea, and very effective against cough. Honey is a natural remedy for all diseases, including infections of the respiratory tract. Honey is immuno stimulant which raises the defensive power of the organism. Mix all ingredients to uniformation and to obtain a thick syrupy mass. It can be administered either alone or added to a glass of lukewarm water. Also you can put honey in your mouth and wait for dissolved itself. This is a home-made remedy for sore throat and dry cough. Black pepper contains substances that stimulate blood circulation, accelerate metabolic processes, and also help in the secretion of mucus in the bronchi. On this way, pepper calms productive cough and ejects the excess mucus. It is necessary to mix the teaspoon of ground pepper and a spoon of honey. Pour the mixture with boiling water, cover and let stand for 15 minutes. After that, the content is filtered into a cup and drink warm. There is nothing better for disinfection throat and alleviating pain in the throat from the salt solution. It is enough to dissolve in hot water a teaspoon of salt and gurgled a few minutes. After that, spit a solution of! Ginger is a universal natural remedy, which is blessed among natural remedies. It has antimicrobial, anti-inflammatory and antiseptic properties, which promotes ginger as most positive natural remedy in the treatment of respiratory infections. Prepare ginger tea (tsp fresh grated ginger in a cup of hot water), sweeten with honey and drink during the day. During showering with warm, water releases steam, which can be effective for dry cough. Inhalation of superheated steam is not recommended in situation such as strong secretion from the nose, sinuses or moist cough because it encourages a stronger secretion of mucus. In any other cases, when irritated throat and irritating cough are present, you can feel free to enjoy hot shower.